Please come with us, but expect to do “big” work! 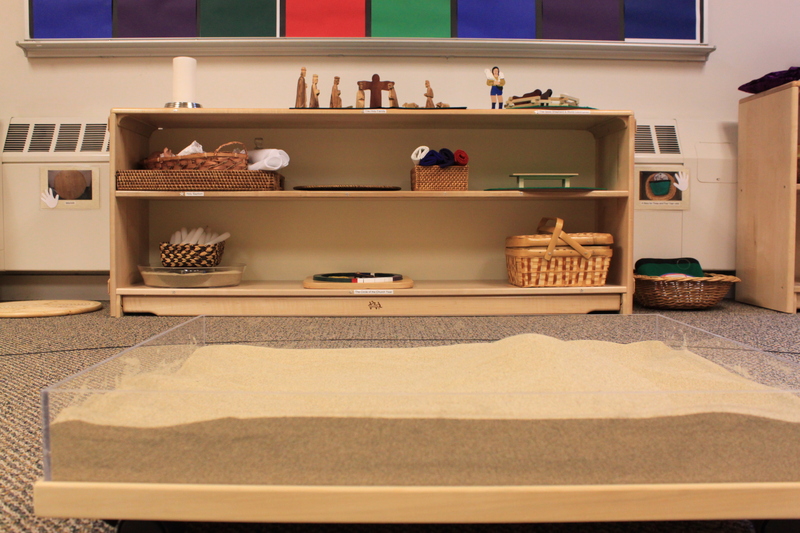 A repeating theme in Godly Play is about endings and beginnings. Right now we are experiencing this in the words of the “Sacred Stories”, the genre of Godly Play stories often presented each Fall. The ending of one story often becomes the beginning of the next, and as children look at the shelves, they can begin to see a larger picture. So pack your bags and come with us, but make sure you can carry them because we are walking! The part of the story included in your Parent Pages shows but doesn’t tell the first part of the presentation, traveling from Ur in a NW direction to Haran, why they continued on to the south, and what the stone altars represent. Your child may recall some of this from the picture!